Looking like a corner of a rehearsal space that would be used by Psychic TV in the early eighties(! ), this is a photo of a Masonic 'Chamber of Reflection'. 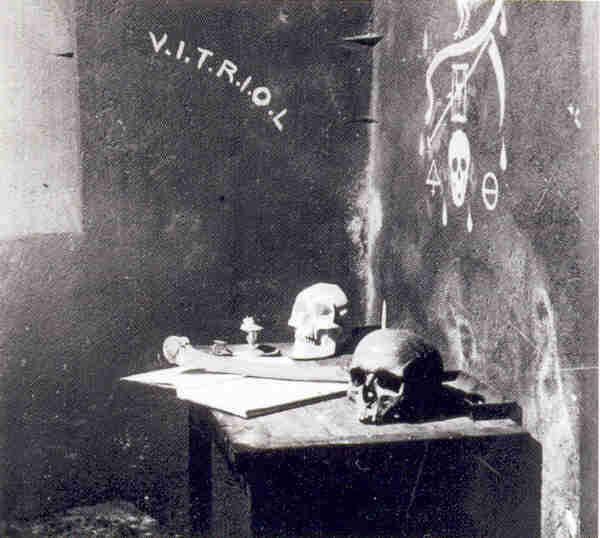 Seeing as the masonic founders were big on all things alchemical, the 'vitriol' graffiti apparently alludes to the 'oil of vitriol' aka sulphuric acid, used to create the Philosopher's Stone.